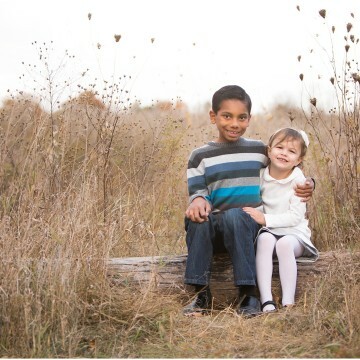 Alright here it is! 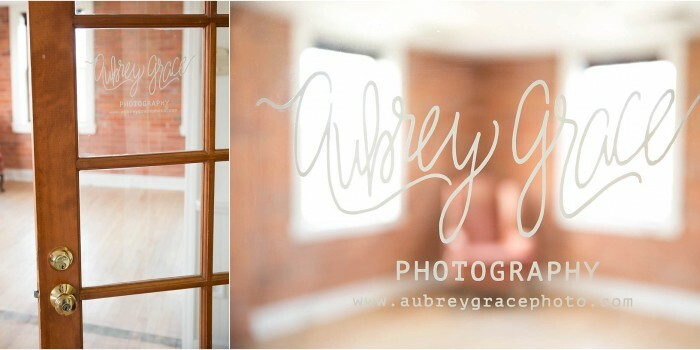 The complete new look for Aubrey Grace Photography. I have loved the charm and bare bones of this place from the moment I stepped into it. 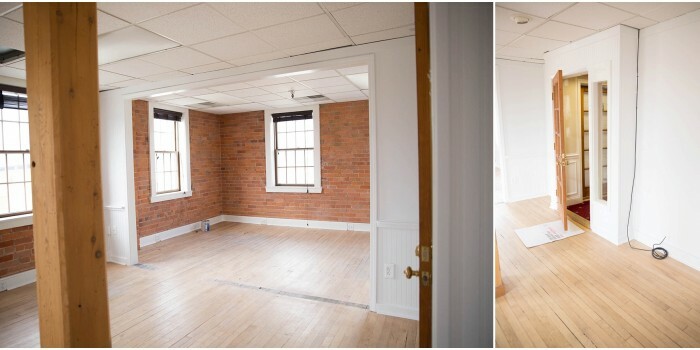 From the pretty french door entry, to the hardwood floors, to all the gorgeous natural light that floods in through all 7 windows… and having a blank canvas to decorate was my favorite part! My brand is very feminine, clean, and a mix of modern and vintage. 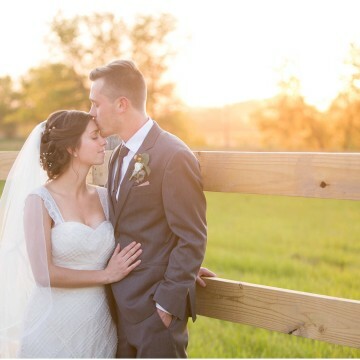 To reflect that, I kept the decor pink, white and gold with small accents of grey. 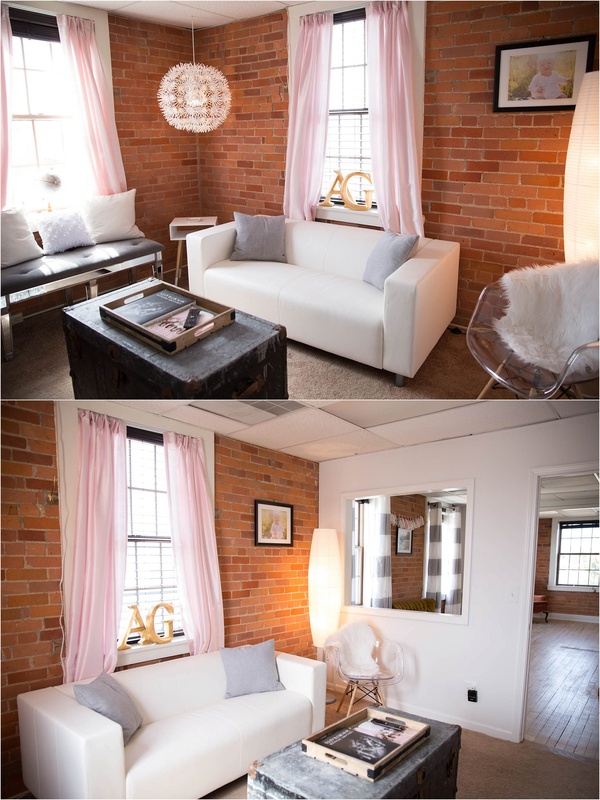 I furnished the space with a few vintage velvet pieces along side a white mod couch. I decided to accessorize with succulents, vintage cameras I have collected over the years, and a fun white paper flower chandelier for some added personality! 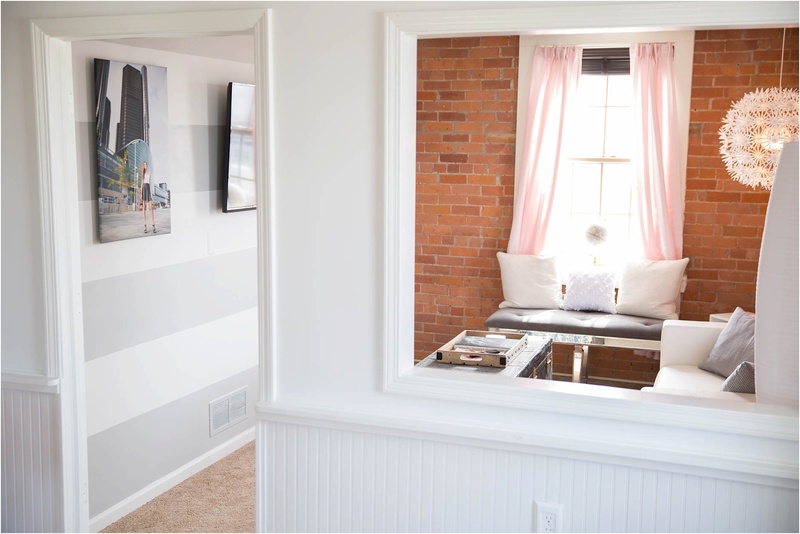 And I had to paint a striped wall in the “living room” – that has been on my bucket list for awhile! My “work station” is one of my favorite parts of this space. 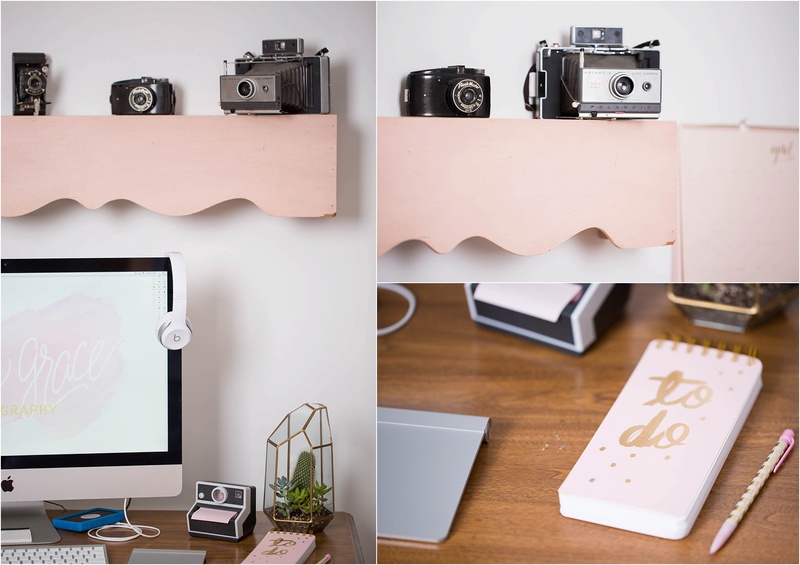 I gave my grandfather’s childhood desk from the 1920’s a makeover by painting it white and adding some new pink nobs with wood accents. 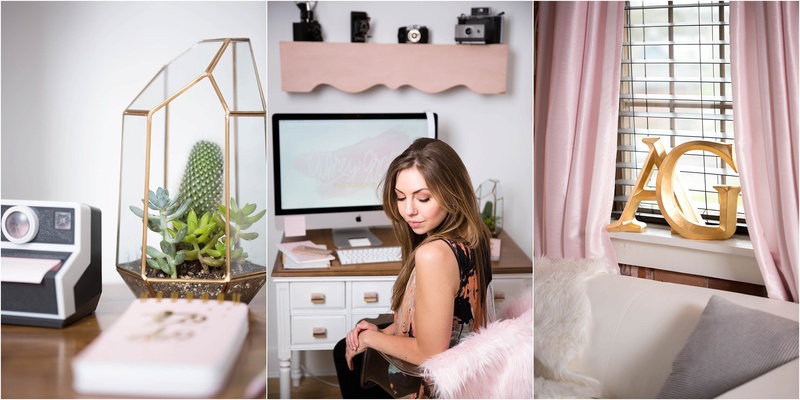 On top of my desk sits my iMac, notebooks, calendar, and of course the beloved succulent plants I added a pink faux fur throw across the back of my chair to add some texture and coziness while I’m sitting editing for hours! As much as I hope you enjoy this little virtual tour through my space, I’d really love for you to see it in person sometime! 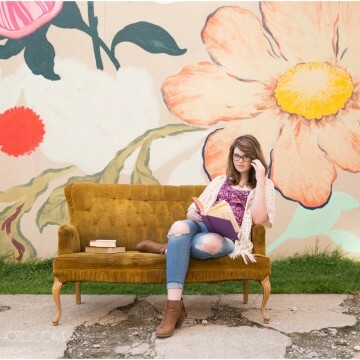 Contact me and let’s schedule something! 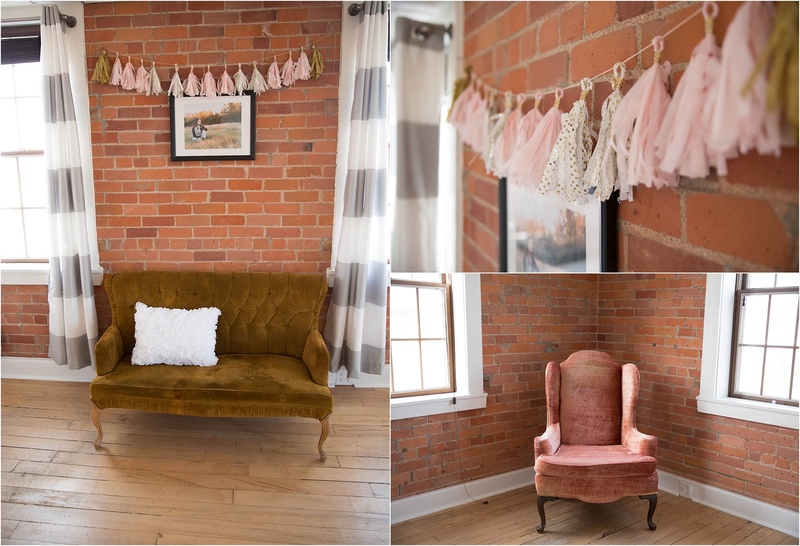 Aubrey Grace Photography Finally Has A Home!